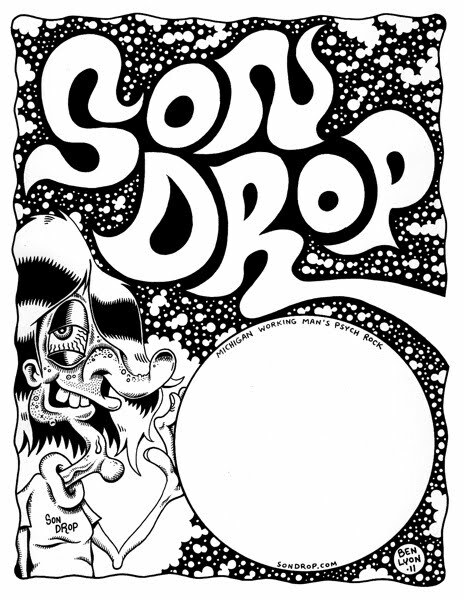 Son Drop is a rock and roll band from Michigan with folk rock and psychedelic influences. We played some more shows and released a new album! You can hear it on the Music page. Check out the art on the right. Pretty great, eh? Selector Jonathon let us use one of his awesome 360 panorama photos. This album is about making plans, trying to follow them, changing them, and figuring out how to enjoy the weirdness of serendipity. This album was made possible by the magic of the internet. Some tracks were recorded in Kalamazoo, and some in Minneapolis, with many large attachments back and forth. It was a lot of fun and I hope you like it. We're going to the Ottawa Tavern tonight and it'll be great. Yes, it is true. 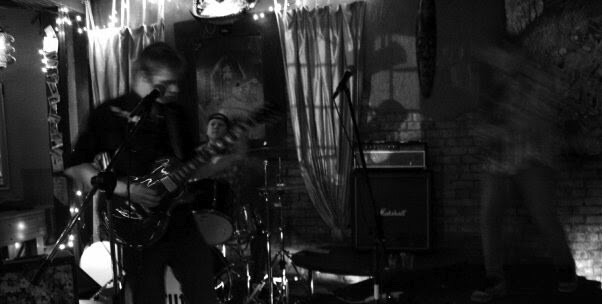 Son Drop is a band that is coming to a close of sorts. I am moving to Minnesota with my wife in August for fun and adventure. We will be having a show at the Strutt on July 10 with some great friends, and will be releasing a new collection of recordings. We will also be performing a short set at this year's Boiling Pot Fest. It has been ridiculous fun to play for you. You all have been so nice to us and we are thankful. Thanks to everyone who let us sleep on your floor, bought us pizza, listened to our cds, told your friends about us, and came to a show. You guys made all my dreams come true and I'm never going to forget any of this. Stay tuned, as we will have some updates soon about new projects emerging from our ranks. Thanks again. Thank you. Well, friends, the hour is almost upon us. Son Drop will be headed out on the road in a matter of days to break hearts and eat pizza on our spring tour. WIth anything resembling luck, we will have a better experience than our last endeavor, which was an exercise in facepalm of the highest degree. We've taken all the tour pain of the past and distilled it into a strong and lustful grimace of determination to have a good time, play something fun and get a few of these CDs into your hands out there. First stop is Carabar in Columbus, Ohio with an awesome little act by the name of Vug. Tune into our tourblog to see how we are faring, some pictures, missed connections, pizza reviews, marginal facepalm, and much much more. You can also follow us on Twitter for up-to-the-second creepin'. I've always liked drawing and music. One of my big influences in the drawing department has been local self-taught flyer genius Ben Lyon. I've seen his mutant Elvises, rock n roll space pizzas and wart-covered sewer creatures on flyers all around town since I was a teenager. His strange creations hint at the best parts of lowbrow underground comix, the psychedelic goofiness of the sixties, the attitude and greasiness of kustom kulture, and a whole lotta rock and roll. I've always admired Ben's stuff and tried to do my best impression of him on lots and lots of flyers, but I've never had a piece of commissioned Ben Lyon work to call my own. So it seemed like a natural fit to ask Ben to do us the honor of drawing our tour poster and send us off in style. It's like a champagne toast or something. Hopefully these suckers draw out the weirdos and the finks in each and every town we slide through. I mean, just look at it. Doesn't that thing make you want to slip on your stolen bowling shoes and dance like a goon? I had the pleasure of catching Indianapolis indie-poppers Slothpop at the DAAC in Grand Rapids last week. They have a sound that is technical, groovy, and light all at once. How they accomplish this is nothing short of magic, or chemistry. We're honored that they have set up a house show for us on our upcoming tour, which we will be sharing with Indianapolis psych-poppers Amo Joy. If anyone out there has seen Magical Mystery Tour, I'm pretty sure these dudes were towards the front of the bus and saw a lot they won't forget. Details for the show will be posted soon. New Video for "Go Leafs, Go!" We've got a new music video posted. It features lots of football players engaging in robust competition with each other. Sports seems kind of like a weird metaphor for the capabilities of the human spirit. People work incredibly hard to achieve, but at the end of the day, it's usually about being just a bit better than the other guy. Not that we don't love sports. Anyway, the clip is for the song "Go Leafs, Go!" which is from the album Deep in the Underbark. The footage is public domain found footage from the interweb. Huzzah! That's right, Drop Friends. The boys are prepping to hit the road once again this May for another tour. This time we'll be heading westerly. The Son Drop Party Van has been officially retired; May it "Rest in Park." Consequently we are exploring our vehicle options. Expect lots of pizza to be eaten and many epiphanies to be realized.